﻿﻿JOIN OUR SOCIAL MEDIA SITES TODAY! Hands Paws & Hearts is a 501c3 non profit animal rescue located in Los Angeles County. We rescue at-risk dogs of all breeds and ages, primarily from high kill shelters or the community in Lancaster/Palmdale and surrounding areas. We strive to provide our dogs with top notch medical and emotional care through trusted veterinarians and fosters until they can be adopted into stable, loving homes. We take part in a variety of programs to decrease pet overpopulation and find new homes for unwanted animals including adoption and transport. 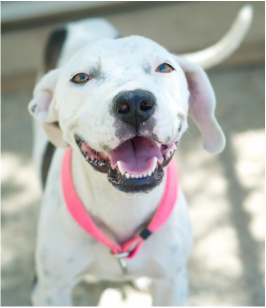 At Hands Paws & Hearts we recognize that rescue and adoption are important, but simply the first steps towards achieving the goal of ending pet overpopulation. With more than 30,000 stray cats and dogs living on the streets of Los Angeles and over 45,000 pets euthanized in LA city and County shelters each year, We focus much of our efforts on spay/neuter and transport programs that will lead us towards the day when no dog/cat is left behind. We also rescue hundreds of pregnant and nursing families that enter shelters, a result of not spaying and neutering. receive no government funding. 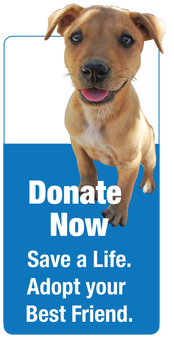 We rely solely on donations to continue our mission to rescue, spay/neuter, transport and place at risk dogs. Every dollar contributed directly supports our efforts. With your tax deductible donation, we can continue this life-saving work.